Designers have a lot to do with new ideas and creativity, no matter how jam-packed their office usually is, they stay focused and try their best to attain successful results in whatever they draw on their computer systems. Every design that breaths a new life has to be thoughtful, striking and meaningful so it may aptly depict the stance it has. Designs should never be ambiguous, complex or difficult because the average man won’t get it. And when a layman cannot approve of it, it means there are psychological constraints that may hinder the projection of your artwork and the impression is not communicated as it is supposed to be. Clients usually prefer simplistic or way too fancy designs so it depends what sort of client you are having. Maybe he would ask you to redo, slightly change or transform the entire look of the design piece. Maybe he would get impressed and contact you again for more of this kind in future? So you must be confident enough whatever you make. Once you can define it better to the client, he would approve it, if it actually makes sense. Let’s talk about my today’s post that I designed lately for your interest. 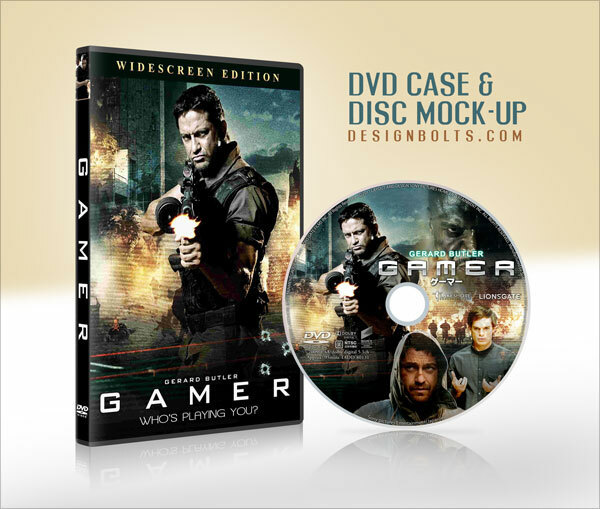 If you are looking up for a dvd mockup, dvd case mockup or CD mockup, then this post of free CD / DVD case & Disc cover mock-up psd is for you. We are trying hard to meet your desire end, so you can attain basic and pro guidelines about design trends. When there is a lot of hodgepodge, ‘Designbolts’ provide you the best podium to step in for everything in one slot. Your feedback is welcome always! 2. Layers are hidden to decrease the size of file kindly unhide and place your design on red colored layers.